You still have to ask the state for permission if you want to carry a concealed weapon to protect yourself and your family, thanks to Senator Emmett Hanger’s (R-Augusta) vote against S.B. 48. 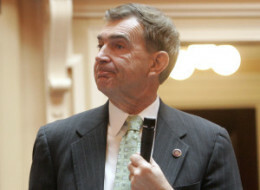 Senator Hanger voted with every Senate Democrat in a 20-20 tie and sent the decision to Democrat Lieutenant Governor Ralph Northam, who voted NO. Contact Senator Hanger to voice your displeasure at 804-698-7524. Why does he believe the state should discourage law-abiding citizens from carrying a concealed firearm? You and I both know criminals do not ask for permission to carry a firearm. Tell Senator Hanger and Lieutenant Governor Northam that you support Constitutional Carry by signing your petition here. P.S. Thank you for your continued support in the fight for liberty. Please chip in today to help Campaign for Liberty reclaim the Republic and restore the Constitution.